When I picture great teaching I see a world of opportunity. 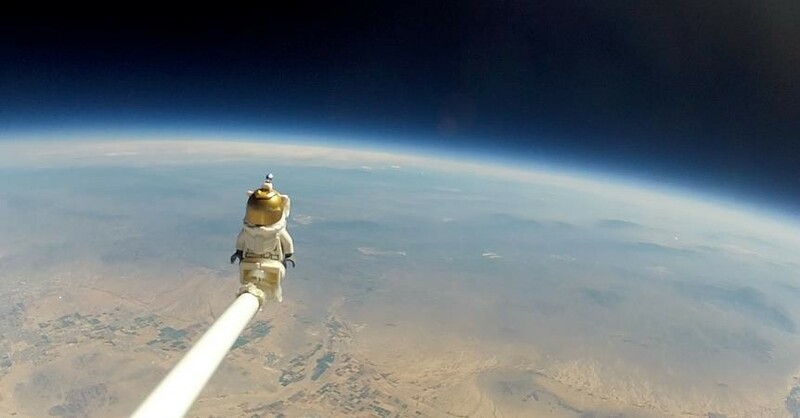 My students launch a high altitude balloon each year and this one went over 100,000 feet into the atmosphere. They build the payload from scratch, they build and solder their own heaters, include pressure sensors, temperature sensors and a Go Pro camera. We then use the data and photos from near space as we learn about the layers of the atmosphere. We added a Lego spaceman this year so he could enjoy the view from near space. High altitude ballooning is a great way to get students engaged in STEM by having them design, build construct, launch, track, recover, analyze and share their experience. It is real world, relevant, exciting and they will never forget it!